You are not authorized to access that location. We use the most advanced call-based campaign management system. By leveraging our patent-pending fraud detection technology and our advanced custom reporting platform, we can offer you the most cost-effective call program. While many call performance marketing companies talk about quality measurement and call fraud, We Speak Media® does something about it. 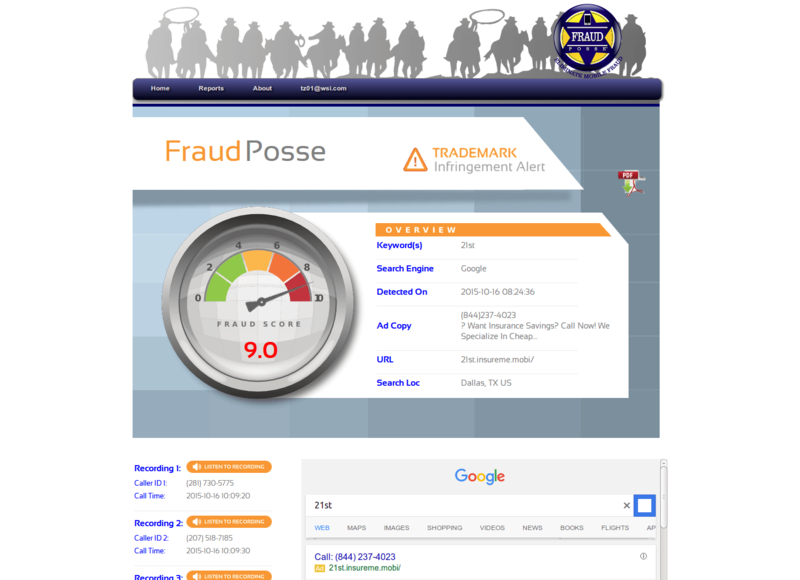 Our proprietary Fraud Posse™ technology systematically monitors our marketing partners to identify any call fraud practices that drive calls. 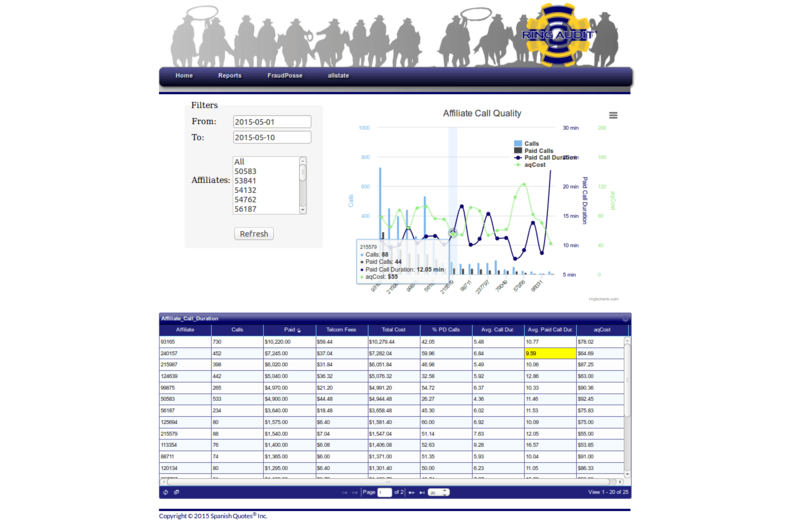 The system alerts us and pinpoints the original source so you only receive quality calls. Ring Audit™ monitors critical metrics of individual call sources and analyzes call data to identify call sources that are unproductive, in order to optimize performance. As a result, we continuously eliminate call sources that do not send high quality calls to you. The most important aspects of any pay-per-call campaign is to utilize a quality tracking technology platform. One of the most advanced active compliance and fraud monitoring tools in the market today. 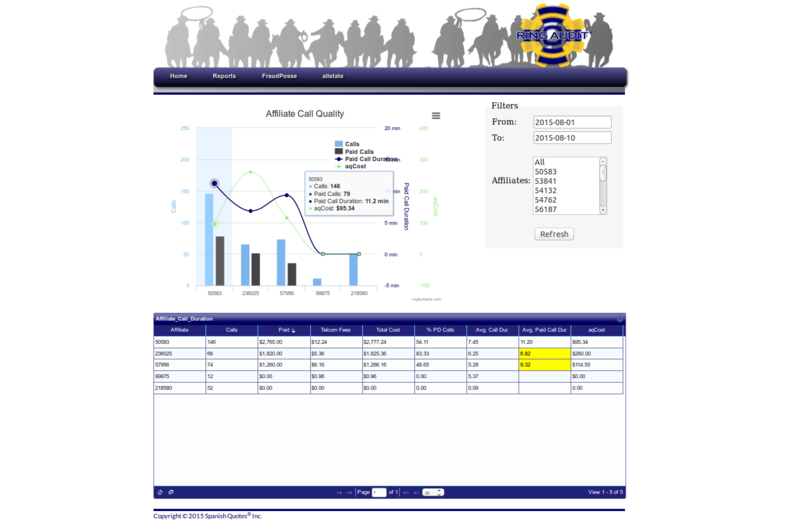 Systematically monitors critical metrics of individual call sources in order to optimize performance. Provides the first billingual web-based, lead service connecting agents to Latinos seeking insurance. Provee el primer servicio de generación de ventas bilingüe y en línea conectandolo a usted con latinos que buscan seguros. Your trusted source for quality consumer initiated telephone calls. Create a custom profile and start receiving calls from consumers that are actively searching for your services. Copyright © 2015, Spanish Quotes® Inc.